A simple and easy W-2, W-2c & 1099 online reporting program designed for churches to meet all filing requirements in a matter of minutes. 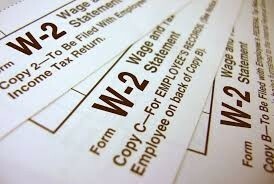 Step 1 - Please complete the form below for each W-2/1099 that you would like electronically file. Please submit one at a time. If you would like to process more than one W-2/1099, please add the first one to the cart and then return to the page to submit another. After submitting your information, please schedule an appointment to review submitted information. The meeting scheduler will display an up-to-date calendar and let you pick a convenient time. We will contact you at the scheduled time with the phone number provided. This was my second time using CFR to prepare our W2 and 1099 forms and I found it a very simple and straightforward process, with Josh Friesen answering the W2-related questions that I had no idea how to deal with. We have used Clergy Financial for a few years now and find them very helpful in getting these Tax forms completed. They are willing to help you in any way they can. Use them if you have to do filing for your Church.